For the life lovers and big idea believers. All shapes and all sizes. To all runners. Including you. Yes you. The one shaking your head saying 'not me'. You. Especially you. Come run with us. Relay Happiness! Get a feel for the London Relay! Sponsor a runner today and help change lives! Is someone you know running in the City Relays? Do something awesome and show your support today! 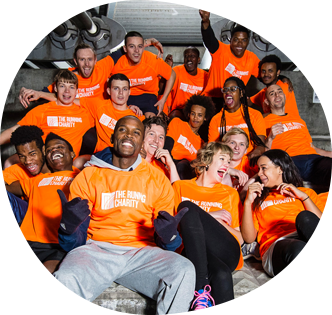 Over 80,000 young people in the UK are homeless right now and, with homeless young people almost twice as likely to die as their non-homeless peers, there is an urgent need to support The Running Charity to transform young lives. Raise funds, run London and relay happiness!